Life gets hectic, and sometimes the simple things are what make a difference. 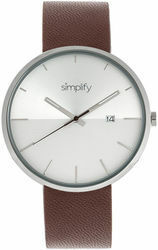 Simplifys designs have a classic look to make style easy, even when everything else isnt. Minimalistic designs made with quality materials to make accessories that can be worn for any occasion.